Consider the following scenarios. How are they similar to one another? How are they different from one another? Using the information provided by emotions in order to make good choices is one component of a set of skills collectively called emotional intelligence. We have used EI as a springboard for thinking about the role of emotions in Christians’ lives and the implications for pastoral care. In “The Emotionally Intelligent Pastor, Part 1,” we saw how identifying and expressing emotions well is foundational to good communication and, thus, effective pastoral care. 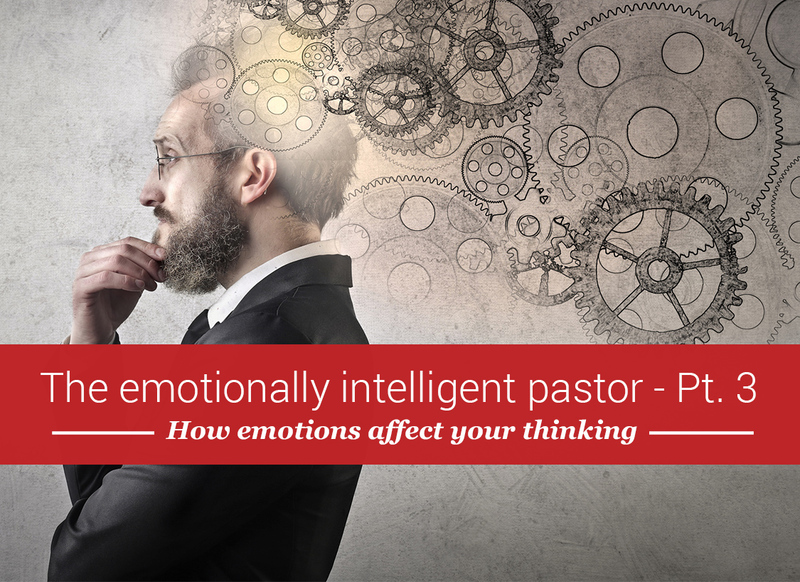 In “The Emotionally Intelligent Pastor, Part 2,” we surveyed the biblical data that help us understand the common patterns associated with emotional experiences. From these data it is clear that emotions are involved in spiritual growth throughout our lives. In this article, we consider how emotions are influential in how we think about situations and how we decide to act in those situations. In Western civilization, there has been a long-standing view of emotions as obstacles to “clear, level-headed” thinking. In this view, emotions might add spice to life, but “cool” reason is elevated as the more significant factor for success in life. Certainly, instances of road rage and air rage seem to be consistent with this point of view. So does Cain’s anger toward Abel. So do the more common experiences of test anxiety, complicated grief,3 and stage fright. One of the more interesting findings in the research that has been done on the interaction of emotion and cognition (thinking, reasoning, decision-making) has been how different moods10 influence the way people process data, especially when they are problem-solving. It is interesting to consider Fredrickson’s claims about positive emotions in the light of the New Testament writers’ teaching about joy and love. Paul wrote to the Roman church, “May the God of hope fill you with all joy and peace as you trust in him, so that you may overflow with hope by the power of the Holy Spirit” (Rom. 15:13). This verse concludes his delicate discussion of the tensions between two factions in the early church: the “weak” (those whose consciences were bound by Jewish scruples) and the “strong” (those whose consciences weren’t bound by such scruples). This verse is a prayer-wish (offered to God) with an implied exhortation (given to his readers). In it he summarizes the blessings to be pursued in the kingdom of God: hope, joy, and peace. Joy is a primary characteristic of God’s people and is evidence of His Spirit at work in their lives. As the Holy Spirit enlightens us to see God’s kingdom purposes being accomplished, we are opened to a radically new way of thinking about life (see, e.g., 2 Cor. 4:16–18; 1 Pet. 4:12–19; 2 Pet. 3:1–13), because the Holy Spirit enables us to see realities that non-Christians are blind to (1 Cor. 2:10–16). Christians’ joy emerges from this broadened perspective on life; it is an excitement about what God is doing in our lives and in the world. How excited do I get when I see the Lord move in my life or the lives of others? When I face trials, how quickly do I acknowledge the Lord is up to something, and He’s up to something good? Do I consciously look forward to how God will glorify Himself in the trials I face? As joy broadens your perspective on life, it will open you to more possibilities when you are faced with ministry challenges; it will act as an anchor for your soul, and it will motivate you to approach your Lord with renewed gratitude each day. The Bible’s teaching on love is also consistent with Fredrickson’s idea that positive emotions motivate us to build personal resources like close relationships—one of the most significant resources for well-being in our lives. Loneliness—the perception of being relationally disconnected from others who care—has profoundly negative effects on physical health over time.14 Therefore, if we pursue the type of loving relationships described in the New Testament and preserve them when there’s conflict as mandated in the New Testament,15 we also position ourselves to reap benefits associated with social support for healthier behaviors, a buffer during times of stress, and a motivator for active coping with trials. Who prays for you regularly? Whom can you count on to confront you if there is a sin in your life? Whom can you go to if you are troubled by what’s going on in your life or ministry? With whom do you enjoy spending leisure time (whether in terms of stimulating conversation, invigorating competition, etc.)? Who encourages you to grow spiritually? Who challenges you to take care of your health? Whom would call you a “close” or “best” friend? 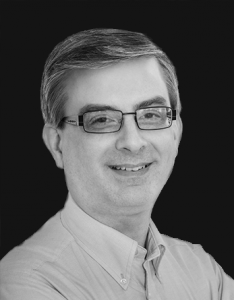 It is perhaps the height of irony when pastors, responsible to lead congregations into closer fellowship with the Lord and one another, feel isolated or disconnected themselves. There are a number of perceived “job pressures” that create this scenario, but you would do well to resist those pressures. Your ministry will be strengthened if you do. Because “negative” emotions are unpleasant, it is probably fair to say that most people try to avoid them. However, our relationship with the Lord can redeem negative emotions—not so much in terms of eliminating their unpleasantness, but in terms of realizing their potential for glorifying Him. When it comes to using a negative mood state to assist in thinking, we are not advocating creating dangerous or tragic situations, but rather soberly assessing the potentially negative consequences of bad decisions (cf. Prov. 27:12). Parents prompt their young children to do this when they grab their hands and sternly remind them of the potential dangers of crossing the Walmart parking lot on Saturday afternoon! If a child takes the warning seriously, there is a greater chance of the child spotting dangers to avoid rather than suffer the consequences of blithely walking into them (cf. Prov. 1:8–19, 4:1–27). You might need to remind church officers of the sober—but necessary—responsibility they have when it comes to church discipline. This could be especially important when the officers are well acquainted with the person who is involved in unrepentant sin. Their friendship with the person might jade their evaluation of the facts that need to be considered or the actions that might need to be taken. You might need to give a cavalier husband a firm warning about the consequences of not taking his wife’s concerns about his behavior or their relationship seriously enough. Some people deal with tense situations by joking around, but over time, such a pattern creates rifts in relationships because problems are not actually resolved. If you have young children, you might face a situation in which they are arguing (e.g., whether your son should now play store because his sister has played hide-and-seek with him) while you are feverishly trying to finish sermon prep for tomorrow. Your daughter is crying; your son remains resolute. To have the greatest chance of intervening well, you could put yourself in your daughter’s mind-set, recalling how disappointments when you were a child affected you. This will help you console your daughter and be able to challenge your son’s attitude toward her. Jesus’ action was calculated to show the impropriety of the motives behind the profiteering in the courtyard (John 2:16) and to reveal the coming uselessness of the temple in God’s unfolding plan of redemption (John 2:21–22). Jesus’ own sacrifice and resurrection would remove the need of the temple’s services. Thus, Jesus was not “cleansing” the temple to make it better; He was predicting its impending demise. 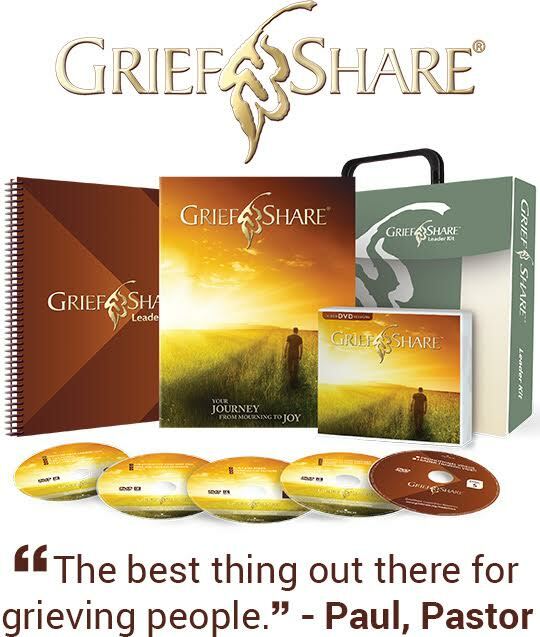 Complicated grief is grief that is so persistent, intense, and difficult to resolve that it prevents a mourner from being able to make necessary adjustments in his or her life. The fourth article in this series will specifically address managing or regulating emotions. David R. Caruso and Peter Salovey, The Emotionally Intelligent Manager (San Francisco: Jossey-Bass, 2004), introduction, Kindle ebook. When used as a noun, affect is a general term for emotions and moods. Joseph P. Forgas and Carrie L. Wyland, “Affective Intelligence: Understanding the Role of Affect in Everyday Social Behavior,” in Emotional Intelligence in Everyday Life, 2nd ed., eds. Joseph Ciarrochi, Joseph P. Forgas, and John D. Mayer (New York: Psychology Press, 2006), 79. Peter Salovey, Brian T. Detweiler-Bedell, Jerusha B. Detweiler-Bedell, and John D. Mayer, “Emotional Intelligence,” in Handbook of Emotion, 3rd ed., eds. Michael Lewis, Jeanette M. Haviland-Jones, and Lisa Feldman Barrett (New York: The Guilford Press, 2008), chapter 33, Kindle ebook. For more on God’s design of our emotionality, see “The Emotionally Intelligent Pastor, part 2.” See also Jeff Forrey, “The Biblical Understanding and Treatment of Emotions,” in Christ-Centered Biblical Counseling, eds. James MacDonald, Bob Kellemen, and Steve Viars (Eugene, OR: Harvest House Publishers, 2013), 394–402. “Moods” are low-level, extended feeling states (measured in terms of hours) whereas “emotions” are more intense, briefer feeling states (measured in terms of minutes). Caruso and Salovey, The Emotionally Intelligent Manager, chapter 1. Barbara L. Fredrickson and Michael A. Cohn, “Positive Emotions,” in Handbook of Emotion, 3rd ed., eds. Michael Lewis, Jeanette M. Haviland-Jones, and Lisa Feldman Barrett (New York: The Guilford Press, 2008), chapter 48, Kindle ebook. Joy is often paired with hope in the New Testament for this reason. See John T. Cacioppo and William Patrick, Loneliness: Human Nature and the Need for Social Connection (New York: W. W. Norton & Company, 2008), chapter 6. An incredible amount of space in the New Testament is dedicated to promoting and preserving harmony in the church: See Matt. 5:21–26, 18:15–17; Rom. 12:1–15:7; Eph. 2:11–4:32; Phil. 2:1–11; 1 Cor. 8:1–13, 12:1–13:13; Philemon. This list of questions is, in part, inspired by what the Apostle Paul reveals about how he thought about relationships; e.g., see Acts 20:17–37; 2 Cor. 6:11–13, 7:2–9; Phil. 2:19–28; Philem. 4–21; 2 Tim. 1:4, 4:6–9. Remember: We are not claiming emotions are never disruptive, only that they do not need to be. W. Gerrod Parrott, “The Functional Utility of Negative Emotions,” in The Wisdom in Feeling, eds. Lisa Feldman Barrett and Peter Salovey (New York: The Guilford Press, 2002), 346.